**This is a sponsored post with Freschetta. I have received compensation and/or product from Freschetta. All opinions are my own and I only work with brands that my family truly enjoy. Summer has begun and the kids are on the run! Whether at the pool ALL DAY or juggling art camp, baseball camp and/or church camp, the thought of cooking dinner, exhausts me. I mean, you get tired of cooking too, right? I do. I REALLY do. On days where I want to throw in the pool towel and make something quick, I turn to Freschetta Gluten Free Pizza. Having a delicious Freschetta Gluten Free pizza ready in 12-16 minutes with fruit and veggies served on the side, BOOM, I'm DONE! The kids are HAPPY, momma's HAPPY and my husband is HAPPY too, as after dinner clean-up is super easy. Yep, I use disposable plates for nights like these too. Certified by the Celiac Support Association, Freschetta Gluten Free Pizza has a taste and crust as delicious as traditional pizza. 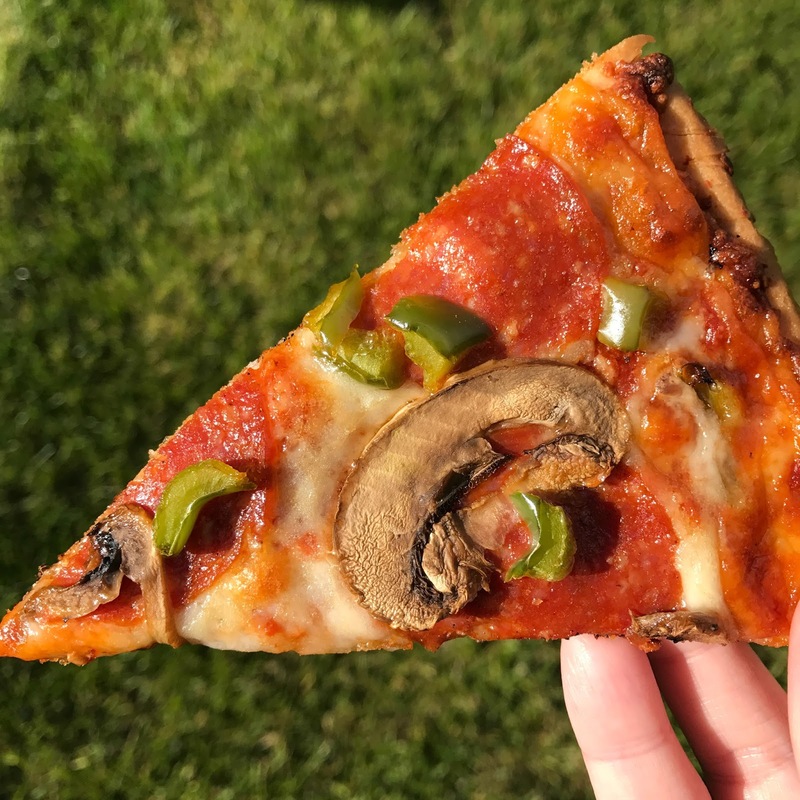 Freschetta Gluten Free Pizza gives a sense of “gluten freedom” for people who live a gluten-free lifestyle and are disappointed by the flavors and taste of many gluten-free pizzas. And, another great idea: Have Freschetta Gluten Free Pizza on hand in the freezer for those impromptu sleep-overs where non-gluten free friends can enjoy the same pizza as your gluten-free child. Easy peasy! Bring home Freschetta Gluten Free pizza for your family this summer - you'll be happy you did! Oh wait! Now on to the part you've all been waiting for!! The $50 Visa Card GIVEAWAY!! Thanks to Freschetta, one GRAND PRIZE winner will receive a $50 Visa Card to buy LOTS of Freschetta Gluten Free Pizzas! And TWO (2) additional winners will receive "Free Pizza" coupons. Enter BELOW for your chance to WIN! GOOD LUCK!! 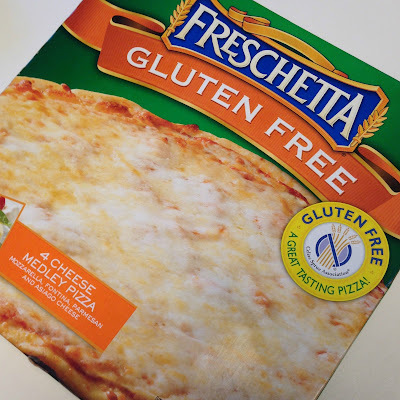 Freschetta Gluten Free Pizza can be found in the freezer aisle at your local grocery store. Use Freschetta’s store locator to find a convenient location nearest you. 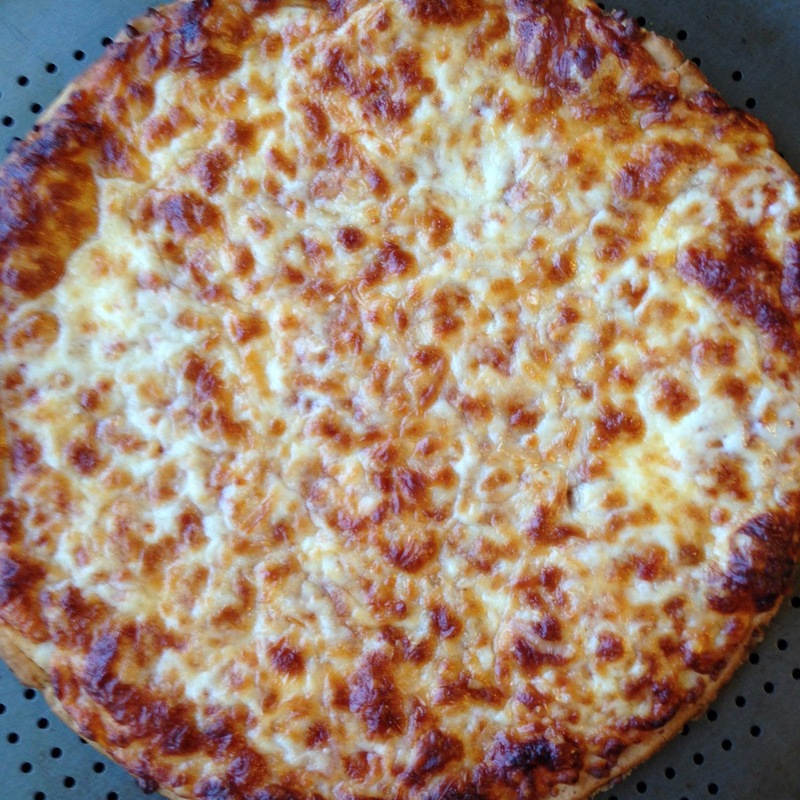 Please visit Freschetta’s website for more information on these delicious gluten free pizzas! Our favorite frozen gluten free pizza!!!! My daughter loves Freshetta's GF pizza. I love it because it's a regular size pizza not tiny like other GF brands. Our supermarket also puts the GF on sale when "regular" pizzas are on sale! WIN WIN for us! I love these pizzas! We have tried several of the specialty boutique style pizzas and nothing holds up against my GF Freschetta pizzas. We like to add a bunch of toppings to ours. My husband likes a meaty pizza so I add bacon, sausage, extra pepperoni, and mushrooms to his and, don't judge me, but I put pineapple on mone (yes I'm that person). My daughter likes the cheese and my son mixes it up. I hope they never stop making these pizzas! We actually love their small pizzas since my 4 year old is the only one who eats it. She will eat a cheese pizza all by herself! My son's Dad just found Freshetta GF pizza the other day and we tried it for the first time last night for dinner at it was sooo good..and bigger than other gf pizza we've tried. My son loved it! We love Freshetta GF pizza! We discovered it this past Fall at the Gluten Free Expo when it came through Dallas. Definitely the best gluten free pizza we've found. We've never tried this pizza, but now I really want to! I haven't tried it but it looks amazing! Really is some of the best GF pizza I've ever had! My boyfriend, non-celiac, loves it! Yes! We get it at Bj's Wholesale club for the best price and we love it. It is our favorite gluten free pizza. This would be great on so many levels. With Celiac you know feeding kids can be a challenge, throw in Autism and food sensory issues and you got a kid who will only eat 8-9 things which we rotate. Tuesdays are Pizza night and this is one of my favorite pizzas because of the fact its large. Not small and a few bites like other brands. This will actually fill my 11 year old up and the taste is amazing. Of course he only likes cheese and then I get my own GF variety or doctor it up with fresh veggies. Its a staple in my house. If you haven't tried these, you must, they sure have saved me on many an occasion feeding my picky eater. We love Freshetta pizza ! My granddaughter who is celiac also thinks it is the best !!!! I have not tried it, but I buy it for my two children with Celiac and they love it. I can buy a gluten one for the rest of the family for $5 and this one for them at around $10. We always have some leftover- so it makes a cheap convenient meal. I have not tried it, and didn't even know they made a gluten free pizza. But I will for sure be looking out for it. Thank you! It really looks amazing! This all looks so good! I love he idea of having one ok hand for sleep overs! We haven't tried it, but we're always looking for good gluten free pizza options! A new quick pizza to try!! With 3 celiac people in our family we are always looking for a good quick meal. We love the gf cheese freschetta pizza. It's our Friday night treat. Last Friday I bought a fresh pineapple and added it on top. They loved it. I love that these are egg and gluten free (we have life threatening allergies to egg and other things and my son has Celiac). We keep a few on hand for my husband and I for crazy summer nights! I have not tried it yet, but would love to!! I haven't been able to find it here yet. I can't wait to try this! FINALLY a pizza for our celiac that has missed it SO much! Excited that we don't have to worry about cross-contamination! I have tried it and it is really yummy!!! We really enjoy them and are glad they are pretty easy to find in stores! This would be perfect for me since I have Celiac Disease. It would last me a couple days as well, since my family does not have it. Thank you for the chance!! Have not tried, but would love to. Thank you! The taste is good, but the crust is much thinner than I like. Someday they will figure out a way to have a fluffy crust. I haven't tried it, but I want to. I have a relative who needs gluten free, and I panic if they want to visit. I will feel so confident I will be doing an invite as I know this pizza will be a big hit - and no concerns! We haven't tried it yet, but it looks yummy! I have not tried this variety, but I would like to. I try to keep one of these Freschetta's in the freezer for "just in case". My 17yo is picky, and this gluten-free pizza is one of things she'll eat. 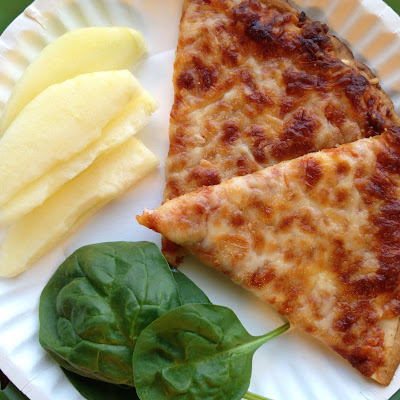 I have tried this pizza and it is my all time favorite. It is super yummy and it almost tastes just like gluten pizza. My favorite is the pepperoni one. Yummy!!! I'm the only one with CD in our house. My guy actually prefers Freschetta GF pizzas over other non GF frozen pizzas. Too bad I can buy 3 non GF pizzas for the price of one GF pizza. If it tastes as good as it looks, I am looking very forward to baking one soon! It will probably make me smile as wide as cutie pie Jack does!! I've never tried it, but it looks fantastic! Haven't had the opportunity to try these. My non gluten free husband enjoys the traditonal Freschetta pizzas, I bet your gluten free ones are terrific too! Would love to try these. No, we haven't tried it yet. I wasn't aware they made gluten free pizza until now. Will be added to my shopping list. My parents loves the Freschetta gluten free pizza & buy it frequently. I have never tried this pizza. I'm not sure I could find it locally, but I'll be looking for it now! I haven't! I'll keep an eye out next time I'm at the grocery store. I've had their pizza, but not the gluten free version. Looking forward to trying. Freschetta GF pizza is the BEST! My girls love the cheese pizza! It's our go to pizza. My 10 yr old with Celiac's disease loves these pizzas & so do I. We just found them a couple of weeks ago & were tickled pink to find a yummy GF pizza. Have to try it sometime soon for the Hubby! No I have not tried it. I'm excited to try it. We love these pizzas! We buy the pepperoni most often, but the cheese is amazing too!!! I've only tried Freschetta GF pizza once. It was DELICIOUS! It's hard to get to the store that carries it often, but it's worth the trip every once in a while. I have never tried it, but I would love to! No but would give this pizza a try! I have not tried it, but would love to. i have not tried this yet! I have tried Freschetta pizza before but not their gluten free kind. I haven't tried this but would love to. Looks wonderful - thanks!